IBPS is an abbreviation of Institute of Banking Personnel Selection. The IBPS examination, called as the common written examination (CWE), was started in 2011 for the selection of officers and clerks in public sector banks. The IBPS exam is one of the most competitive exams in the country and the selection ratio is 1:1000. It is an objective type examination with negative marks for wrong answers and it is the preliminary round for the selection. 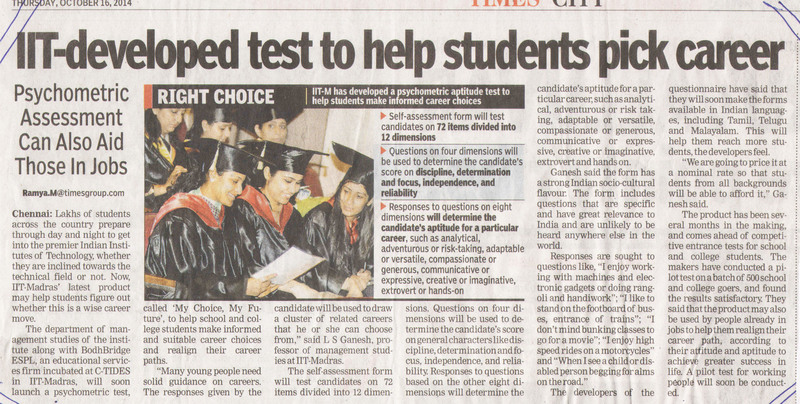 After clearing this test, the candidates are called for interview processes. Why should you opt for Banking Exams? The most preferred choice of youth in the recent years has been a career in bank. This has led to a craze in bank exam preparations. Not only have institutions and course centres have come up with course preparation materials but also the students are starting to come up with loads of interests. But why is there such a big noise among young aspirants about a banking career? Btechguru tells you some reasons as to why people look forward for a career in banking. There is a tremendous growth opportunity in banking stream. Even if a person joins as a trainee level officer, he can move up to the General Manager level in quick time than compared to IT and other companies. Here comes one of the biggest reasons. When you or your parent shares with someone that you are working in a bank, it brings a high quality respect on you. Bank professionals have a good respect in the society. Also, because they directly interact with customers (people), they have good recognition. Job security is a FREE package with a bank job. If it’s a public sector bank, not only does job security comes along but also the good employees benefit plans. In a country like India which is growing rapidly, one sector that the Government carefully watches and supports is bank because they are the financial supporters of India’s development. Hence, there is no death or up-downs in this field. Many will be wondering why many of the engineering graduates are opting for banking career. Well, we will tell you why. Even banks have started using the latest software and technology support to ease customer experience. Almost all banks have their own website, net banking system and mobile apps. People get to work with the best available technology which thus adds more value to their profile. One thing in banking professional’s growth is his/her learning ability. No one gets promoted just like that. From peon to clerk to cashier and GM, everyone has to clear respective norms. Apart from working, the people working in bank also learn for their promotional capabilities. And learning is nothing but a good sign of your career development. Here are few things you should keep in mind for the IBPS exams? Having a university degree is a basic eligibility for appearing in the exam. For specialist positions, the applicants should have degree in accounting, law, agriculture, IT or management sector. It is mandatory to have computer knowledge certifications for specialist posts as well as other posts. Though there are many more small reasons for someone to choose a career in banking, the above mentioned are the most important ones. Many institutes and online education platforms have come up with materials for bank exam preparations. We advise you to not fall in the wrong hands. Btechguru is one of the leaders in bank exam preparation courses, as we have courses which are taken by top banking professionals. We don’t sell ourselves, but our quality of courses does. Check out our banking courses and watch FREE PREVIEW VIDEOS HERE in this link: https://www.btechguru.com/courses/demo/BANK-EXAM-COACHING~810dabc5c418becc~btg~bodhbridge.html.